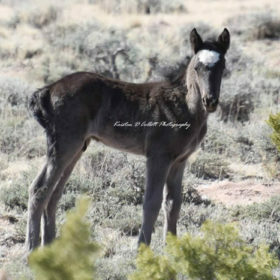 It is that exciting time of the year when the foals will begin to be born. 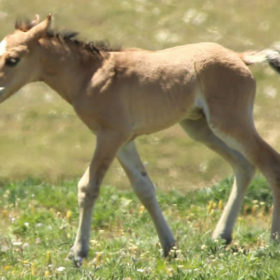 In 2016, all the foals will have names that start with the letter “Q”. We work hard to find names that relate to a parent’s name. 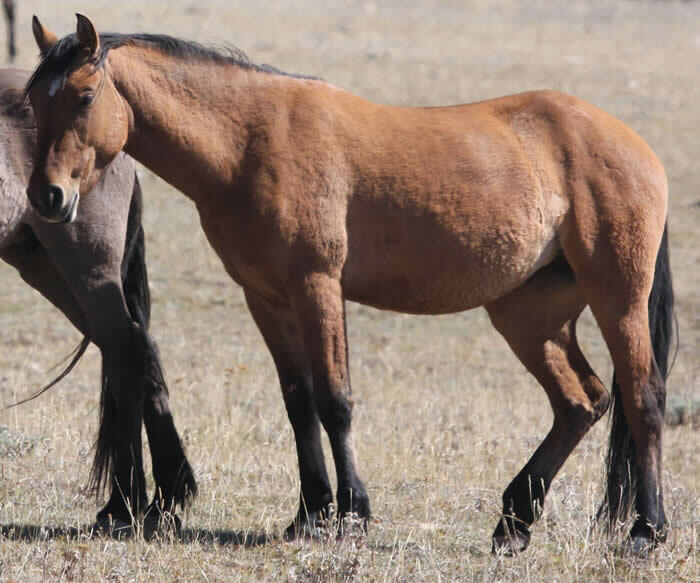 This naming system allows us to know the age and lineage of a horse just by its name. 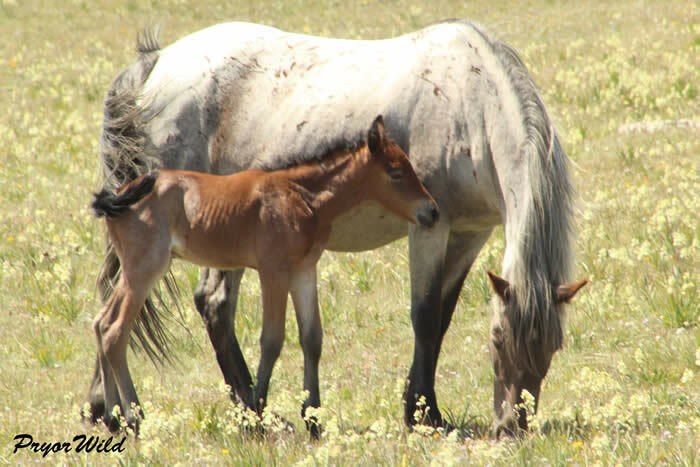 We will report foal births and information on this page throughout the year. Keep in mind, we may discover differences in the gender information. 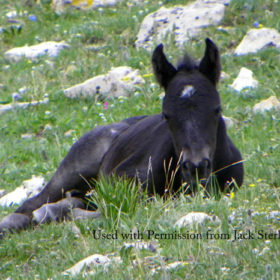 Initially it is often hard to tell since it is best to keep some distance from the young foals. Thanks so much to the network of people who report the new births to us! Reported by Brittny Budde. The first foal is always very exciting. 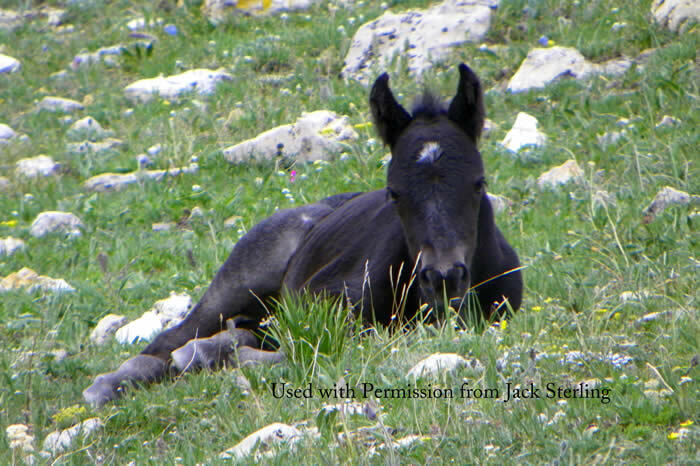 This little one was named using the star/constellation theme of the mare’s name. A quasar is an extremely bright object in the sky full of energy and light. 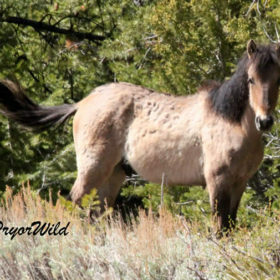 This seems like a perfect name for a young Pryor horse! Reported by Dawn Ness and Danielle. 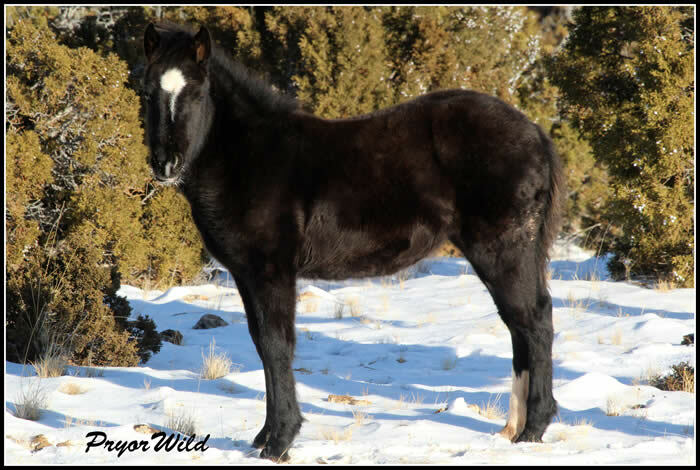 This colt was named in honor of the Comanche chief, Quanah Parker, who transitioned his tribe as they were moved into reservation life. Reported by Dennis McCollough. Christel (also seen as Christine) Quintasket (c. 1884-1936) was a writer who told the stories of Native American tribes in the early 20th Century. 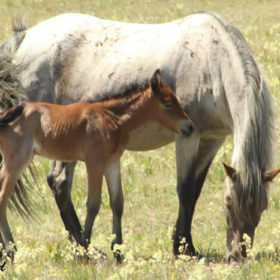 The filly’s mom was given two names that honor her mom, Rosebud. 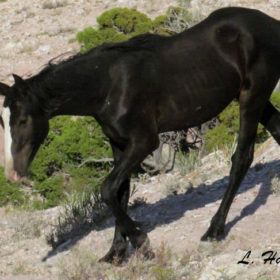 The Cloud Foundation named her Hopi to match the Indian connection of the Rosebud Sioux. We named her, Helenium, to carry on a reference to plants. Christel Quintasket has a quote that we think blends the names together: “Everything on the earth has a purpose,every disease an herb to cure it, and every person a mission.This is the Indian theory of existence.” Thanks to Ginger Kathrens for suggesting this name. 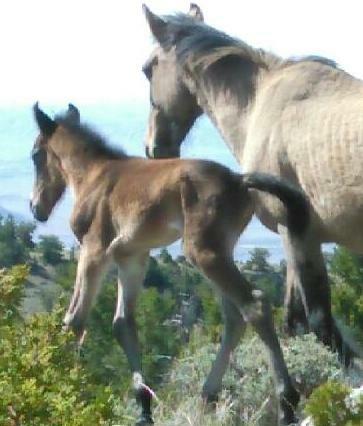 Greta’s foals have been named with a movie theme. This little one has the perfect name, “Quaid” which was suggested by Dennis McCollough. 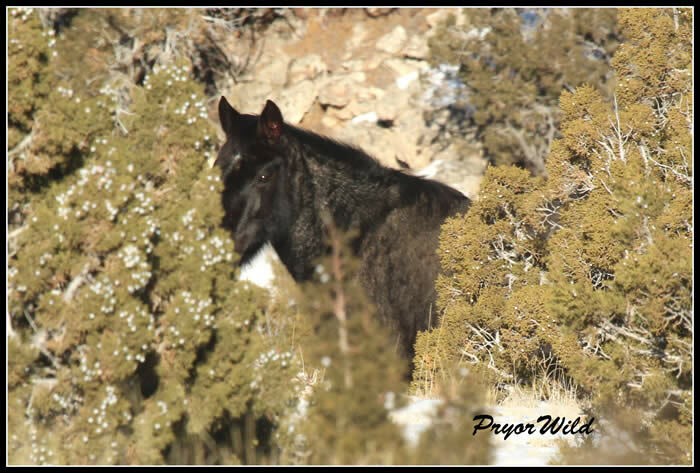 Reported by Bill Pickett of Bighorn Canyon Recreation Area. 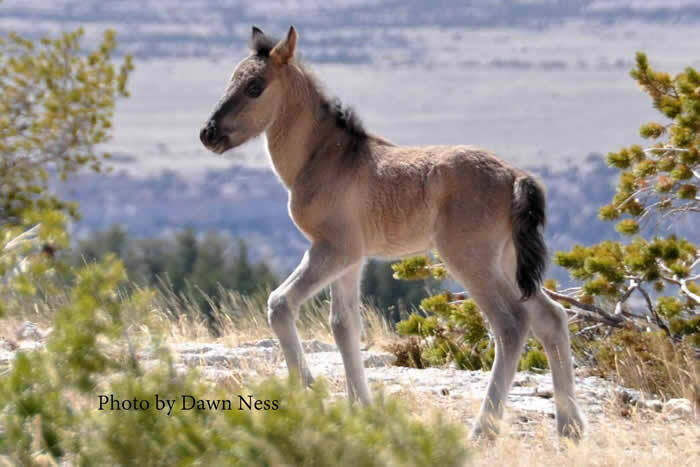 This little one was given a special name to honor, grandsire, Shaman, and mother, Hataalii. 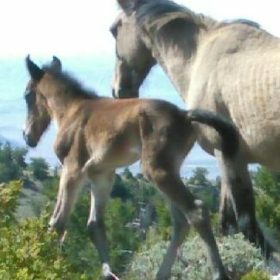 Sadly, the foal was reported missing on May 19, 2016. Reported and named by Kristen D. Collett. Reported by Jack Sterling. Jack suggested the name Quillan because it is of Irish/Celtic origin. It also reminds us of Quelle Colour, Galaxy’s mom. Reported by Jamie Baldanza, Deb Lee Carson, and Kim Michels. 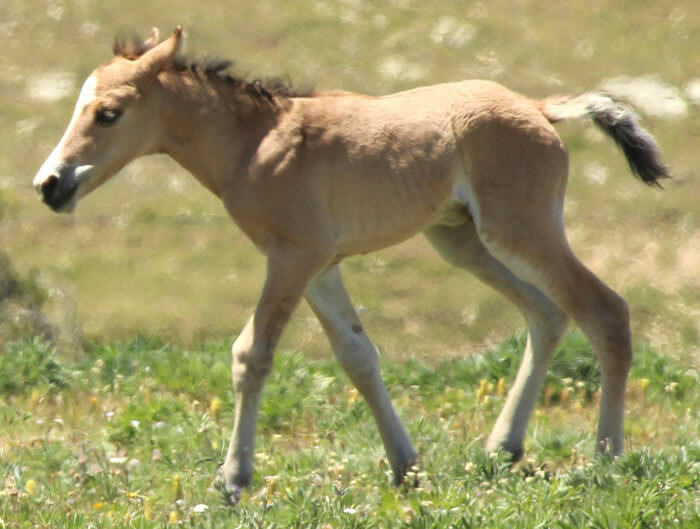 Washakie’s foals are always long-awaited, and this year was no exception. Jamie and Deb found the foal in the woods in the morning after a rainy night. They worked hard to find a perfect name. Quahneah means “morning dew” in the Cheyenne language (See www.snowwowl.com). This is a beautiful name that honors the Native American name of her mother. 7/15/16 Reported by Elizabeth Lumsden. Firestorm’s name was given to honor her sire, Cloud. 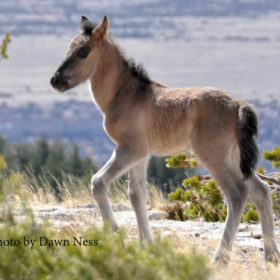 Now this new foal’s name carries on. In Liz’s words, “This is a very fitting name for the mountain including the night she was born. The storms blow through there quickly and then all is quiet and peaceful, bringing a serenity and rebirth to the mountain.” On September 25, Elizabeth returned to the mountain and made the sad discovery that Quietstorm was gone. 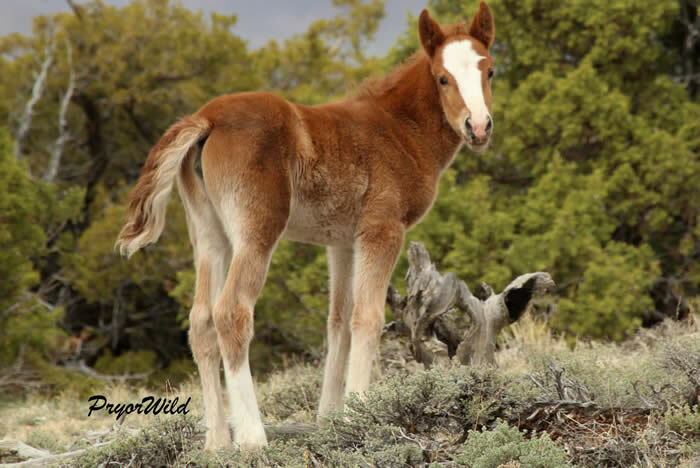 It seems fitting that Liz was the one that had the first and last report of this beautiful Pryor filly. Reported by Jean and Jim Pruitt. Quivira’s name was chosen because of its historical ties from Spanish and Native American culture. 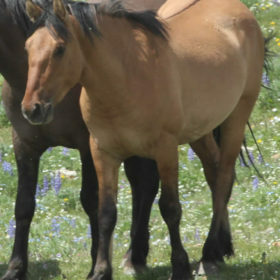 It is a perfect name for a little golden, dun Pryor horse. Reported by Steve Cerroni. 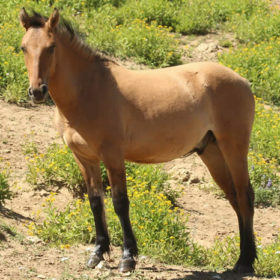 This litle horse was named for his beautiful grullo color. He lived a short life on the mountain as he was reported missing on October 1. But he will be remembered for his beauty and his energetic spirit! Nancy took her 2nd Annual Trip to Burnt Timber Ridge on December 26, 2015. There were several bands spotted along the road. They were mainly resting and enjoying the warmth of the afternoon sun. 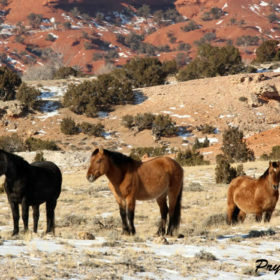 Galaxy and his band were resting in a private ravine, hidden from the road. Galaxy is the magnificent son of Lakota and Quelle Colour. He will turn 10 in 2016. 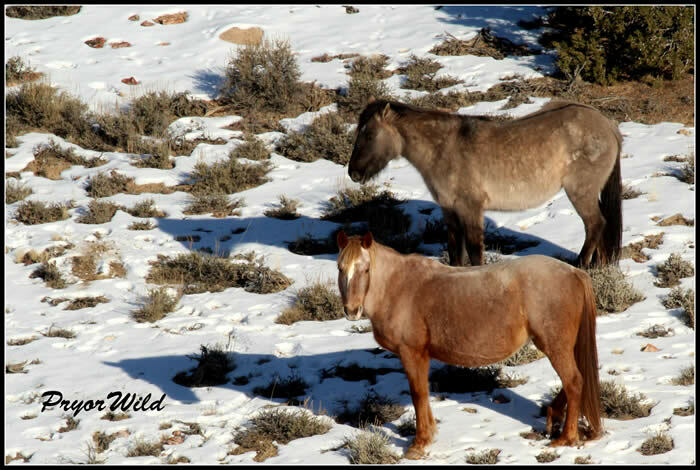 He has a beautiful band of mares. Pococeno will turn 22 n 2016. Limerick is a coming 5-year old. 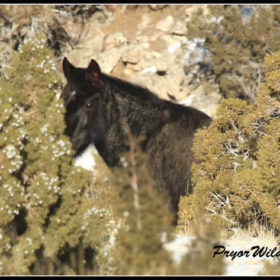 Hera the Queen peeks shyly around a juniper. She will be nine in 2016. And then there is little Pegasus! 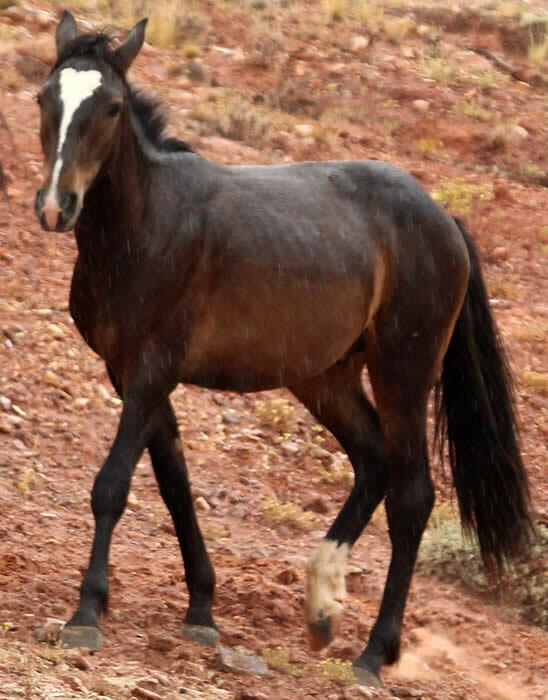 She is a coming yearling! 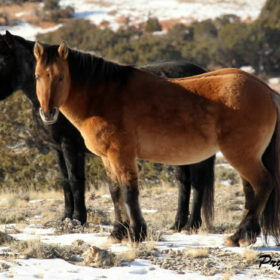 Pegasus was resting next to her sire, Galaxy. 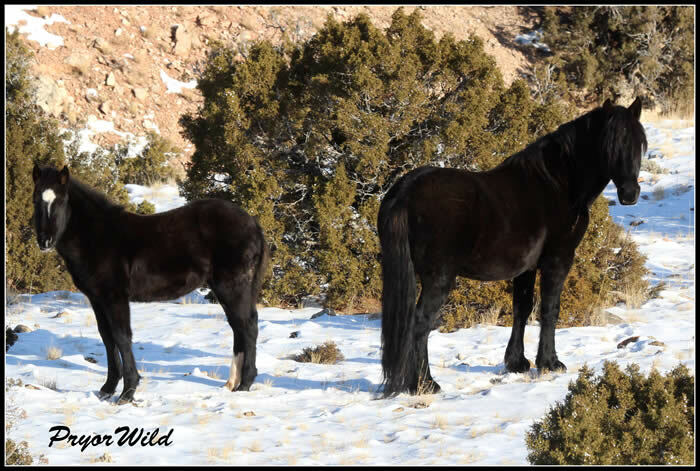 Their winter coats look like black velvet! 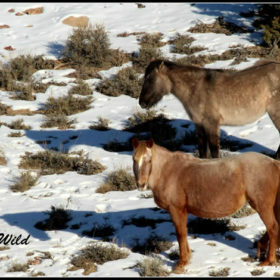 Baja and his mares, Bacardi and Washakie were sunning themselves on a ridge just west of the road coming into the Horse Range. 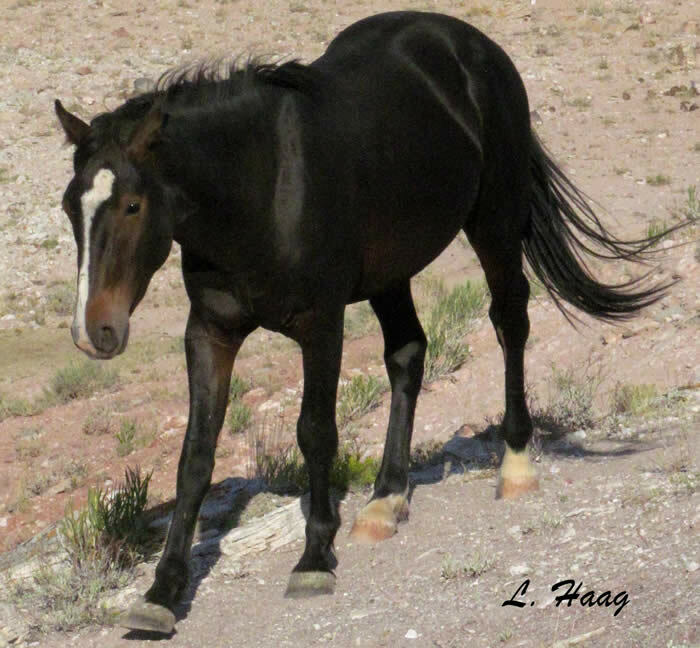 Baja is the 1996 son of Looking Glass and Tonapah. 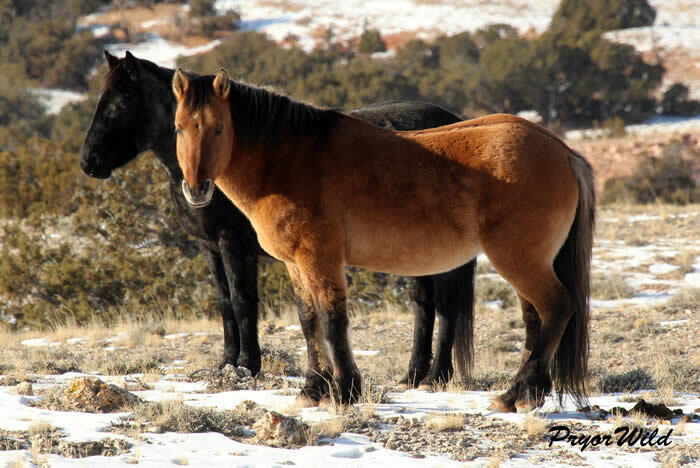 His mares are a mother/daughter pair with Washakie born in 1994 and her daughter, Bacardi, born in 2001. The 2015 Gather/Removal is over. 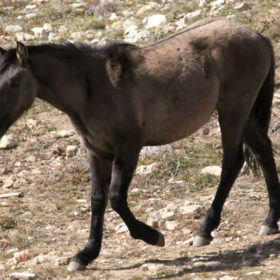 19 horses were removed. The bait trap process was successful, with no major injuries resulting. 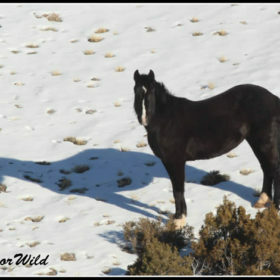 The Mustang Center would like to extend a big “thank you” for all the people who adopted the horses. The prices paid for the horses speak of their value. What a tribute! 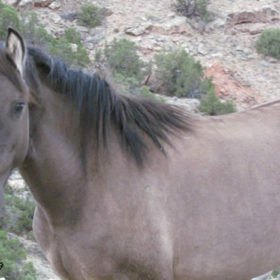 We are aware of many people who were not able to get a horse during this adoption. Thank you for your bids! 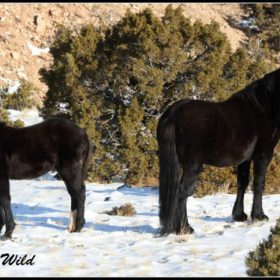 We definitely appreciate all the people who wanted to make sure these horses would get special homes. We have included the bidder’s state and the winning bid beside each horse. We would love to hear from each successful bidder so we can keep track of the horses as they move to the domestic world. Maelstrom has a combination of beauty and heritage that will make him a one-of-a-kind horse for someone! Maelstrom is the son of Jackson and Firestorm. This makes him the grandson of both Cloud and Two Boots. 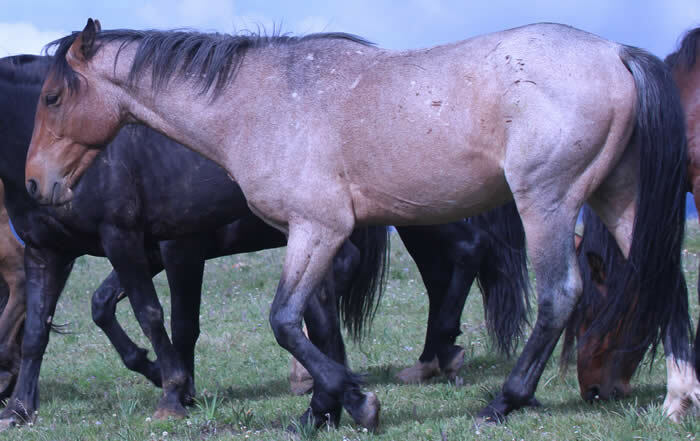 He is a bay roan horse with a flashy hind leg! Maelstrom was separated from his band in May 2014. 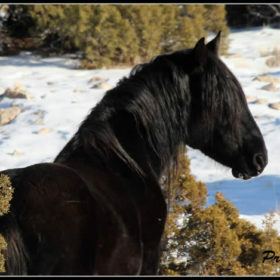 He was “adopted” by Hernando, Phoenix (Maelsrom’s grandmother), and War Bonnet. These three horses continued raising Maelstrom until he moved into the bachelor world this spring. He has led a great life on the mountain thus far. Maybe you can be the one to move on into this next phase of his life! 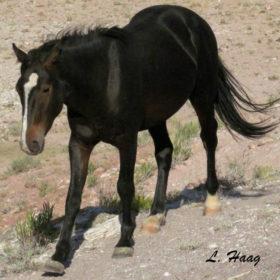 McKeahnie is a beautiful, classic dun colt. 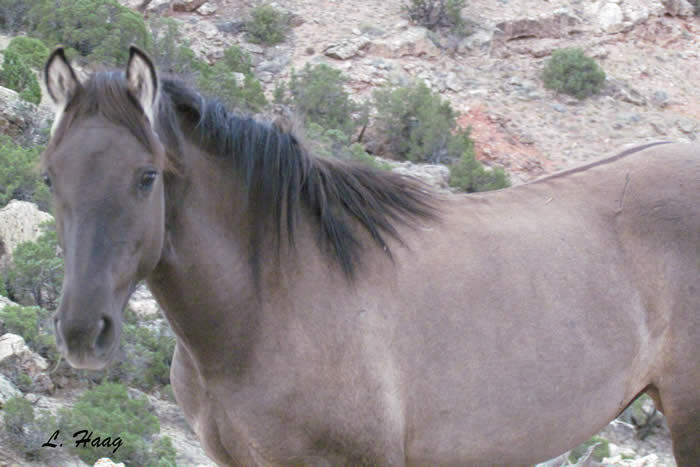 This horse comes from an amazing lineage. He is the look-alike son of Cappuccino. His mom, Gabrielle, is the daughter of Jackson and Brumby. As McKeahnie got older he moved between his home band and various bachelors. He seems to have a very easy going personality and gets along with other horses. This will help him transition into a domestic life very well. Mesa is a beautiful, classic dun. She is the daughter of Bolder and Sapo/Cedar and was with them up until the day of her capture. She always quietly followed along with the band. 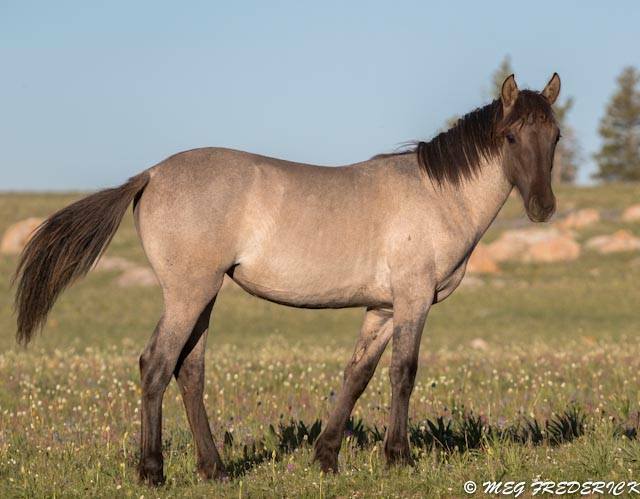 This is one beautiful filly…one that has the great “look” of a Pryor horse and that carries on the legacy of her grandfather Cloud. Nye is the 2013 daughter of Galena and Jackson. 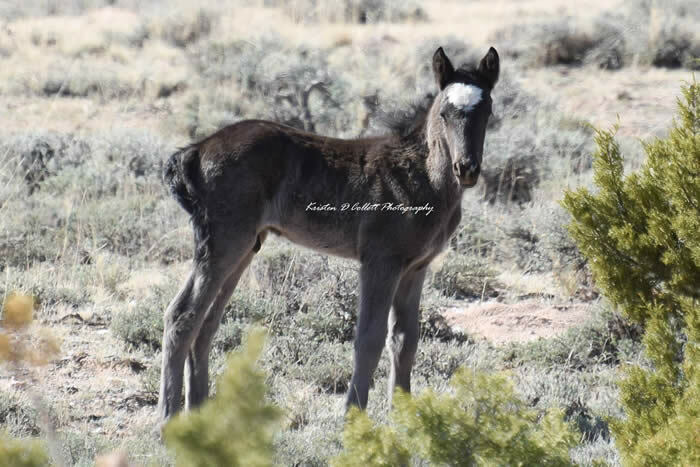 What a heritage as she is the granddaughter of Lakota and carries on his grulla color! Nye has recently had a change in her life as she was part of Baja’s band this summer. Nye does have an umbilical hernia which is the reason for her removal. But don’t let this stop you. 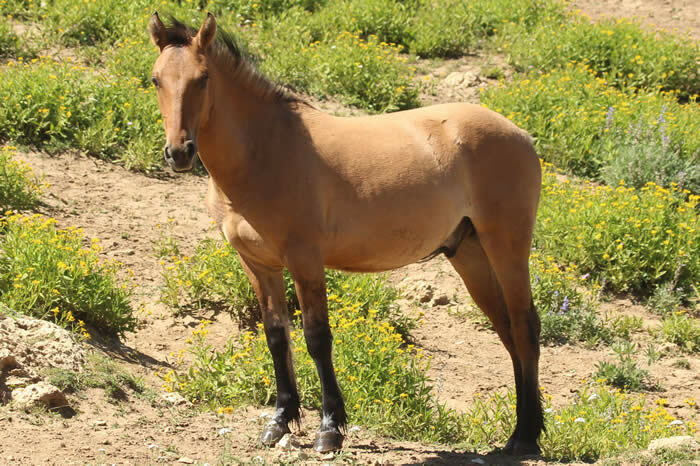 As you can see from the photo below, Nye has grown into a beautiful Pryor horse. 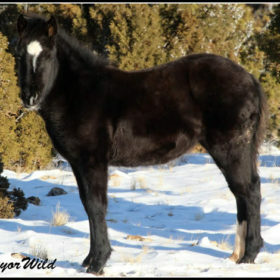 This young colt is going to be a gem for someone! 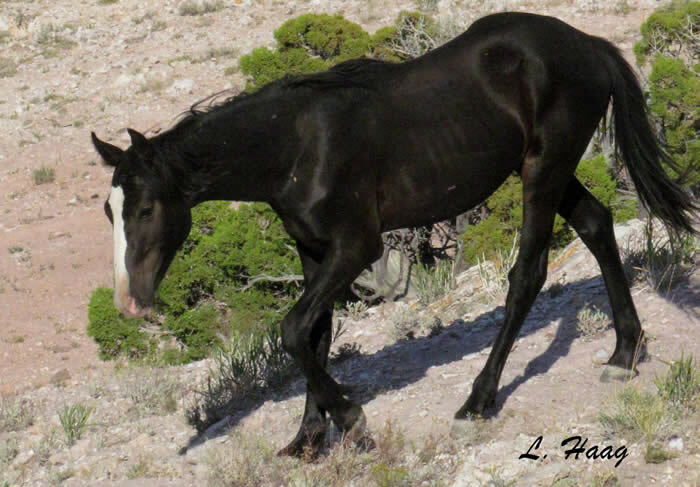 Nahwa is the son of the magnificent Baja and mare Washakie. He was separated from his family in early 2015. 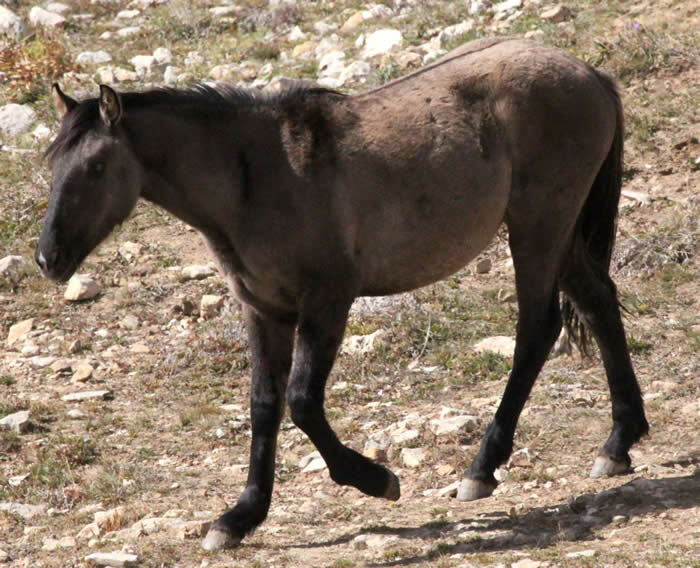 Nahwa is a young horse who will thrive in a loving home. 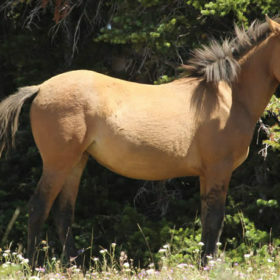 He is a beautiful dun color with a two-tone mane and tail, very much resembling his sire, Baja. 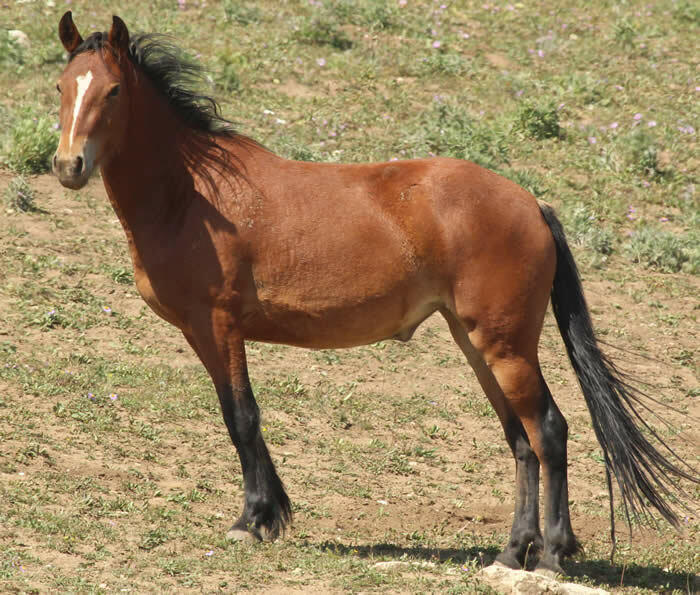 Don’t miss the chance to adopt this young stallion who will surely grow up to be a very handsome Pryor horse! 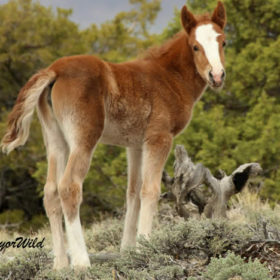 What a perfect little Pryor horse! Ojai is the full sister to Nawha. 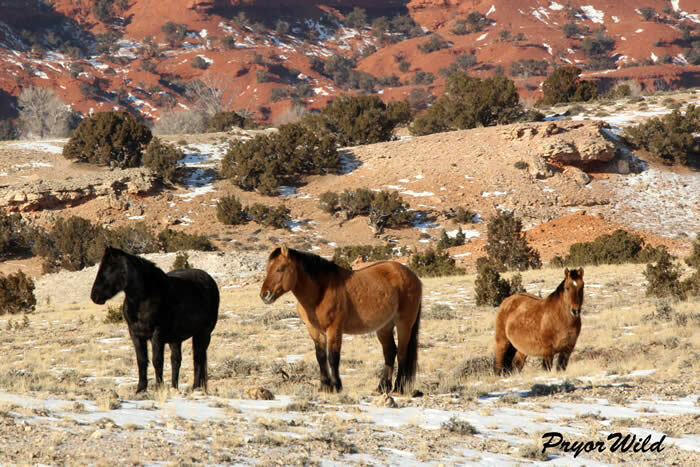 Each are from Baja and Washakie. 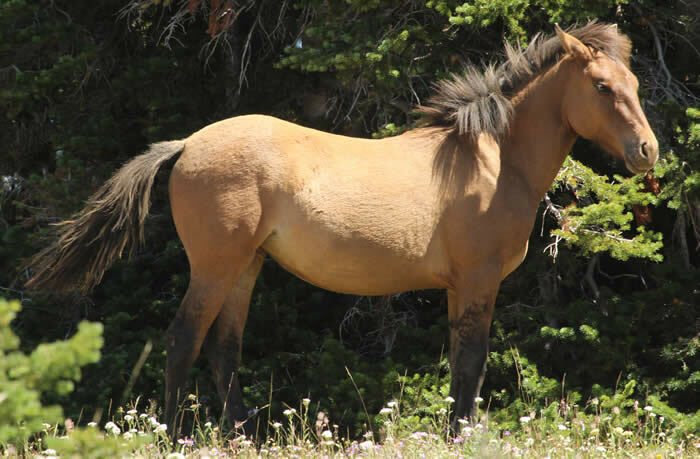 Each carries the look of Baja with the dun color and two-toned mane and tail. Ojai is young and just recently removed from her parents’ band. She will be looking for someone to bond with. 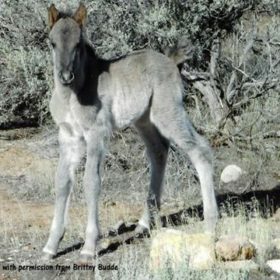 Olivia is a beautiful grulla roan filly. 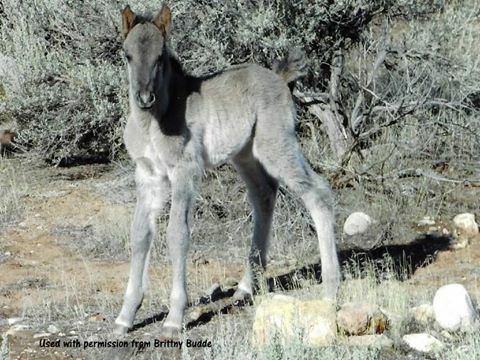 She is the 2014 daughter of Blue Moon/Flint and Halcyon and comes by her roan color pattern from them. She was with her parents’ band at the time of her removal. Odakota means “everyone’s friend” in a Sioux language. 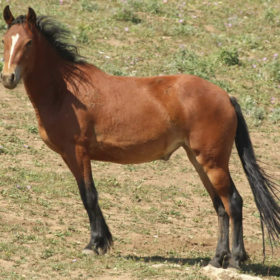 This is the perfect name for him, because throughout his life, he is always a friendly one to other horses. And he is always one that has shown a natural curiosity to human visitors. 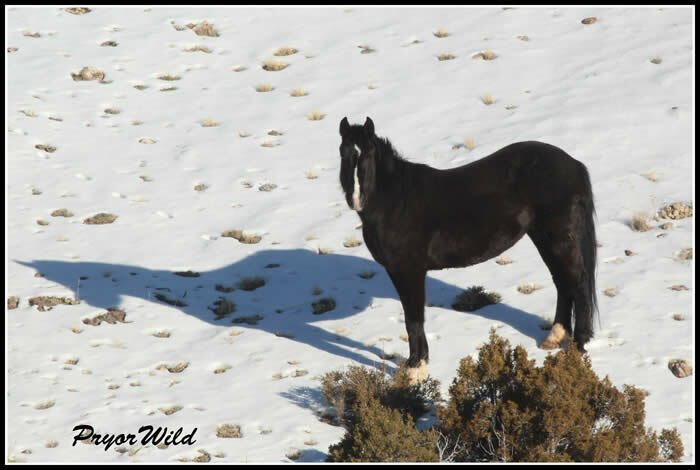 This photo was taken on May 4, 2015 when Odakota was still sporting his winter coat. We used it because it just shows how cute this horse is! The photo below shows Odakota on July 29. He was off playing with a group of bachelors. 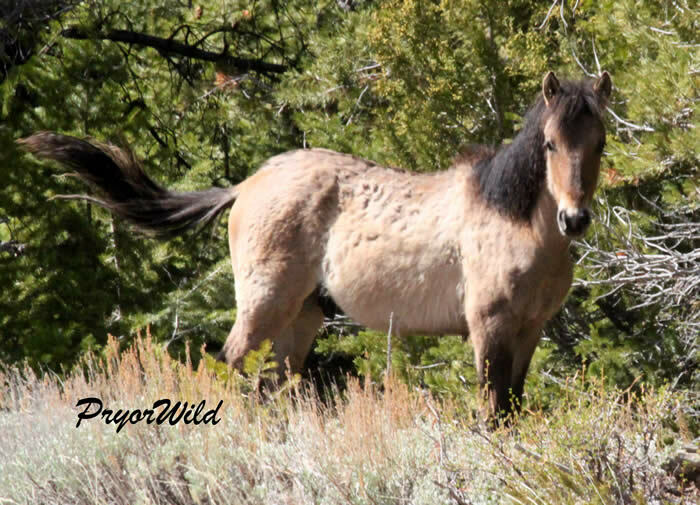 It is easy to see how he has matured into a beautiful Pryor dun! What can we say about Ohanzee? He is the son of Cloud and mare, Feldspar. From the time of his birth (May 17, 2014), we knew he was something special. Ohanzee has had a lot of change in his short life time. 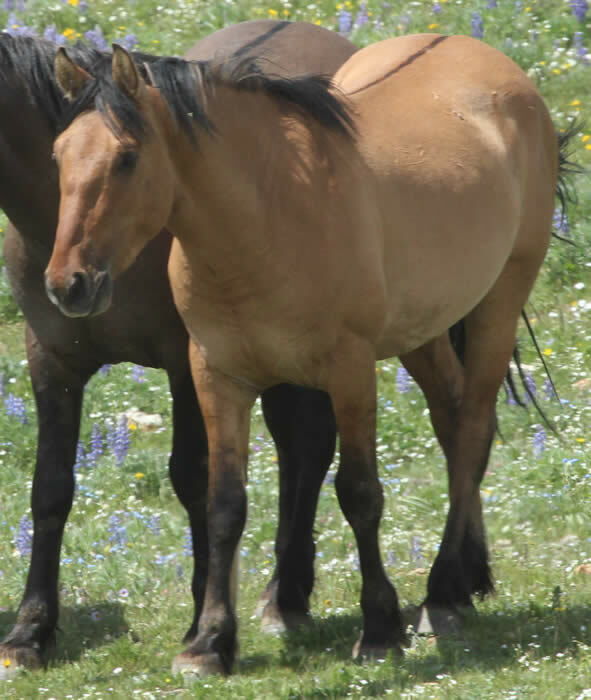 He was separate from his mother in April 2014 and was with Cloud’s other mare, Innocentes, and her daughter, Orielle. The three of them ended up with Dryhead stalllion, Inniq. 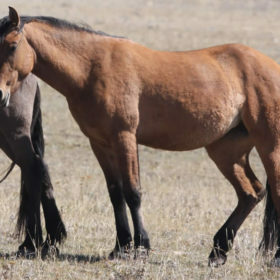 It wasn’t long until Ohanzee was separated from that group and he found himself a bachelor as a yearling. Since that time he has been with several of the Dryhead bachelors. He will be a treasure for someone! 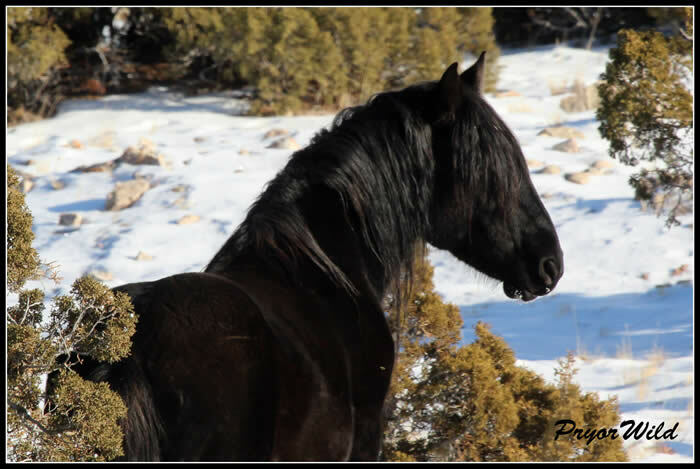 Norte carries on the beautiful look of his sire, Corona! 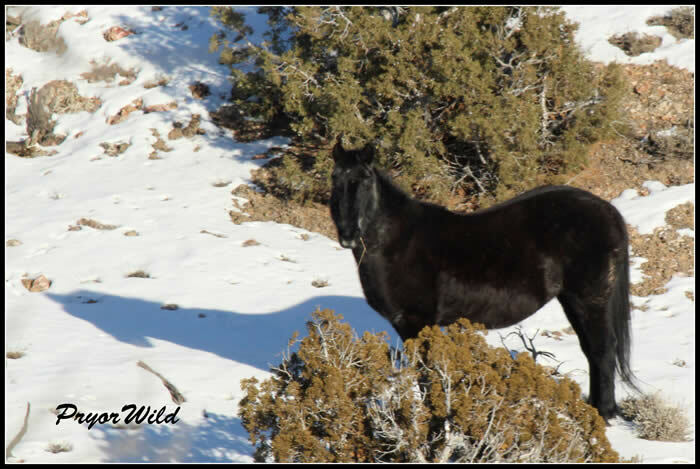 He is one of a long line of Corona/Waif offspring. He and his little brother, Orion, are both up for adoption this year. 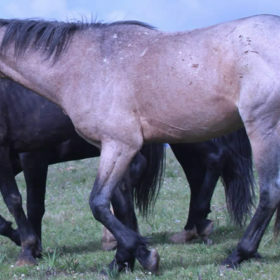 If you are looking for a matched set of Pryor horses, this is a rare opportunity for you! Norte has been a bachelor since Spring 2015. He is not yet showing the stallion aggression that comes with a bachelor life. He seems pretty content to just hang out with the boys. It was a rainy day when this photo of Orion was taken (August 8, 2015). Despite this, it is easy to see that he has grown into a beauty. 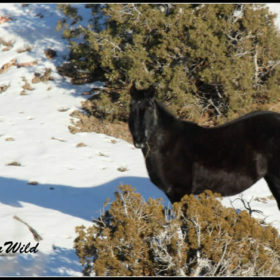 As you can see from the photo above, he and brother, Norte, the mark of Corona is strong! Orion was with his mother, Waif, at the time of his removal. 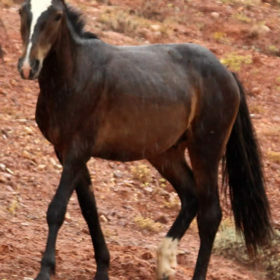 He is a young horse that will be ready to have someone to bond with. 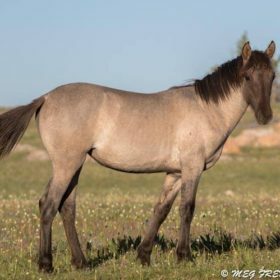 If you are looking for a classic Pryor grulla, this is the one! Oregon is the daughter of Sacajawea. Sacajawea has produced a long line of beautiful offspring. Oregon will most likely be her last. Oregon is one of the only grullas on the adoption list. She has a beautiful Spanish look to her and there is no doubt that she will grow up to be an elegant mare!